My name is Meg Shackleton and I am a mom to 4-month old Tate, wife to Lane, and founder and designer of Margaret Elizabeth Jewelry. 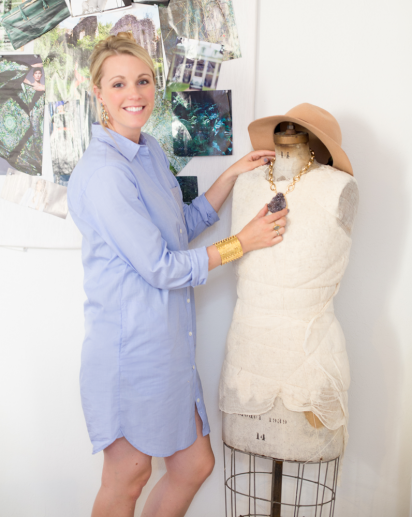 I started designing jewelry while a student at Boston College, hosting my first trunk show in my dorm room. After graduating from BC, I went on to work in Advertising at Google and continued to design jewelry on the side. In 2011 I decided to leave the corporate world so that I could pursue the line full-time. Since our beginnings, we have expanded our website and sell our pieces in over 100 stores worldwide. In 2012 we opened our first flagship studio in San Francisco which has been so much fun!